The temperatures are fluctuating like they usually do in March and these can be as damaging to our plants as deeply cold temps. 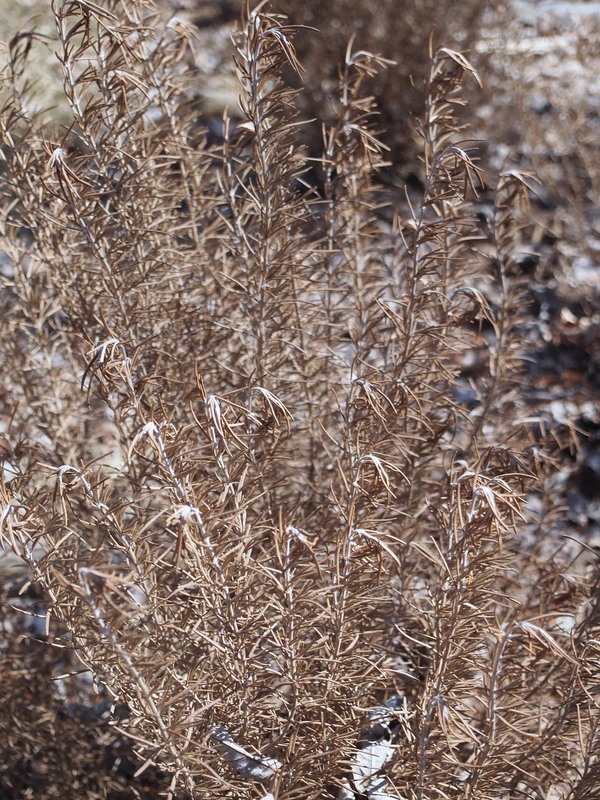 Watch for heaving plants as we go through freeze – thaw cycles. Speaking of cold temperatures: thus far in Central Ohio we have experienced a Zone 5b winter: -10°F to -15°F, and, my three-year-old rosemarys are toast. Deep in my heart I knew that they would eventually succumb to low winter temperatures – see picture above – but I was spoiled by two Zone 7 winters. Some rosemary cultivars can withstand temperatures down to 0°F and even a bit lower if they are covered with snow, but they can’t go down to -14° which is what I had in my back yard. 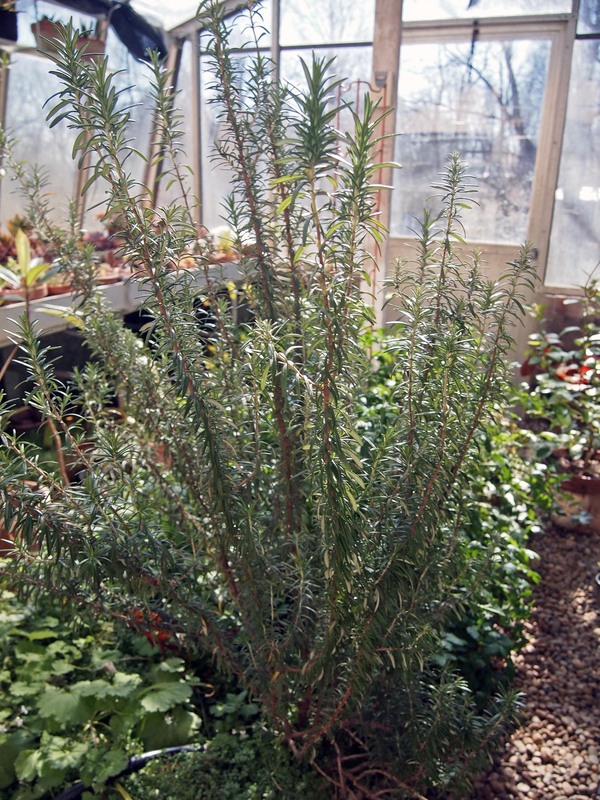 Fortunately, there is a rosemary-in-waiting in my greenhouse, pictured below. I have started some cuttings, but I have a feeling I will be looking for a few larger plants during my spring shopping expeditions. A new phlox has apparently conked out. I suppose the rest are fine. They came from an abandoned house on E. 14th about thirty years ago – a soft lavender, a lavender pink, and mottled white and lavender ones. I am going to have to be out of the building soon one or way another – the neighborhood is being gentrified. I suppose they date from the 20s and 30s. I got notice that I was no longer wanted in Weinland Park, Barno was going to show me some properties there and said he couldn’t. I have a few snow crocus starting, some aconite just starting and the snowdrops in back are barely, but one is in full bloom out front. What will happen to the garden.. Lots of plants are dead to the ground, like althea zebrina, which normally stays at least partially green; it always self sows. I am not sure about the roses.